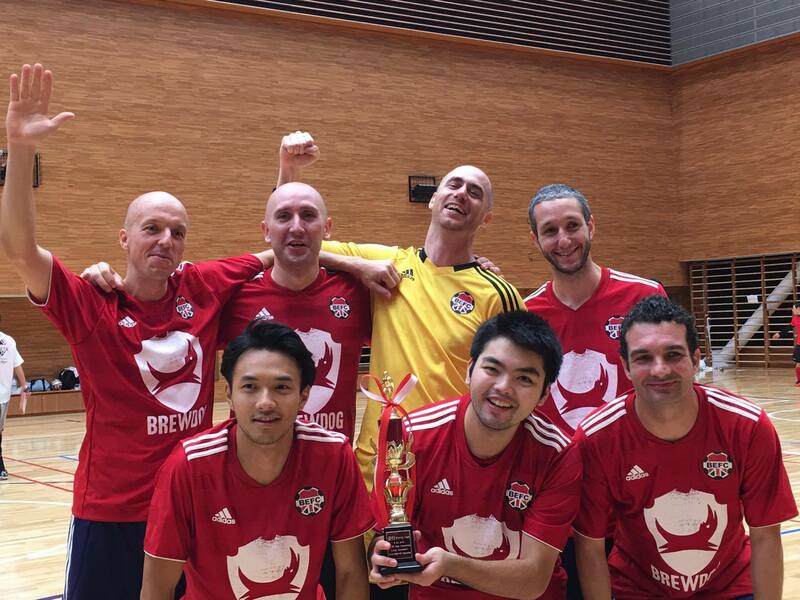 AMIA's 9th Tokyo International Futsal Tournament Inter-Embassy futsal tournament. BEFC have been taking part in the AMIA tournament for about 4 years. It has always been directed towards Embassy members but the club has helped represent in the absence of players. Over the years BEFC became more successful in the AMIA competition going 3rd twice and last season we decided to get serious and win it. So BEFC are reigning champions. Now we've done that, we're not so serious about it and it's open to whoever would like to take part. It would be nice if our fresh Embassy members decided to increase the Embassy involvement and also this tournament often has mixed teams. There are usually about 10 - 12 teams from different Embassies with / or without actual Embassy players on them. Normally MOFA, USA, Colombia, Spain, Ecuador, Russia, EU and others take part. Tournament is indoors, in a basketball like court, so inside football shoes are a must. Maximum squad is 10 players. Matches are 7 minutes long - no halves. Precise futsal rules are somewhat loose, so best to check with the referees on the day. There is a rule that Japanese players are less than 50% but that would have disqualified the AMIA and MOFA teams last season so they can't be serious! Priority to Embassy Staff since we are supposed to try and field at least someone from the Embassy. Be nice to have a more mixed and Embassy backed team this year.